For over 26 years, JBugs has been your one-stop-shop for VW Interior Accessories. We offer only the highest quality Volkswagen interior parts for your 1957 Volkswagen Bug. Our selection of 1957 VW Bug Interior Accessories includes dashboard parts, cupholders and consoles, seat belts, shifters, pedals, radio, speakers, speaker mounter, and much more. Our selection of Volkswagen Dashboard Parts includes VW Dash Knobs, Handles, Gauges, and Accessories. Our replacement VW Dashboard Parts are customized to fit your 1957 VW Bug perfectly and last for years. 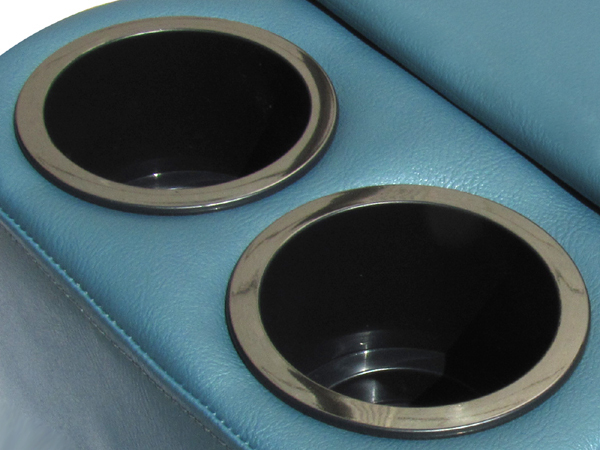 We offer a full selection of VW Cupholders and VW Consoles for your 1957 Volkswagen Beetle. VW Bench Seat Consoles which are available in over 30 colors to perfectly match your VW interior upholstery. Our 1957 Volkswagen Beetle Shifters are available in OEM or performance styles. We also carry a large selection of VW Shifter Parts and VW Shifter Knobs. Our Volkswagen Pedals selection includes replacement stock pedals, stock and custom pedal covers, and custom roller pedals. Our 1957 Volkswagen Beetle radios are made by Custom Autosound. They are designed to fit into your dash right out of the box with no drilling, cutting, or special tools required.